Though coffee and drinks remain the cornerstone of Starbucks' business, the company has begun to improve its food selections in an effort to draw in customers looking for more than that morning caffeine rush. 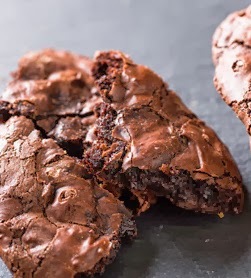 With the company's recent acquisition of San Francisco bakery La Boulange, Starbucks is in the midst of rolling out a new line of sweet treats nationwide, including at least two varieties with no gluten ingredients. 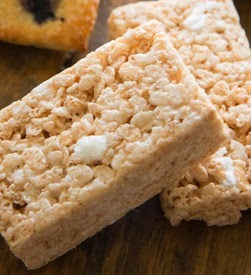 The La Boulange Marshmallow Dream Bar and the Flourless Chewy Chocolate Cookie, made with bittersweet chocolate, contain no gluten ingredients, but are placed unwrapped in display cases with non-gluten-free pastries. According to baristas at several New Jersey stores, the items come wrapped, so customers can ask for ones kept in storage (though they may be frozen). 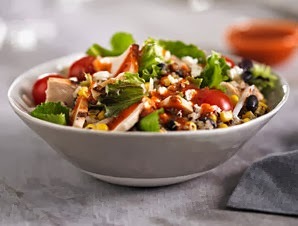 Along with the sweets, Starbucks has created three new salad bowls with no gluten ingredients: Hearty Veggie & Brown Rice (tossed roasted butternut squash, beets, kale, red cabbage, steamed broccoli florets and garden peas with lemon tahini dressing), Chicken & Greens Caesar (grilled chicken, kale and roasted tomatoes) and Zesty Chicken & Black Bean (grilled chicken, black beans, roasted corn, jicama, tomatoes, feta, spring greens and quinoa with a mild chili vinaigrette). 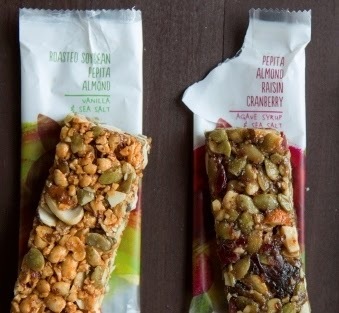 Two of Starbucks' new GMO-free Evolution Harvest Bars are also gluten free: Roasted Soybean Pepita Almond with vanilla and sea salt and Pepita Almond Raisin Cranberry with agave syrup and sea salt. There may be other gluten-free food options coming soon, including additional pastries and even a gluten-free sandwich bun, which Starbucks already offers in the United Kingdom. Customers should be aware of Starbucks' official position on allergens in its beverages, which is that they cannot guarantee that any beverages are allergen free because of the use of shared equipment and handling of allergens throughout the store. Be aware! Read Labels! All the Evolution Harvest Bars PACKAGE DESIGN LOOK THE SAME except the gluten-free ones have the small GF in a circle (GFCO) on the back by the ingredients. It's about time they have gluten free selections but it won't do much good if they are placed next to gluten products. All these gluten free products need to be wrapped individually to keep them gluten free. Another thing to be wary of - caramel sauce (used in caramel macchiatos, etc. ), don't know how I missed this one all these years, but it is NOT GF! All the products are wrapped individually. They come in frozen and the partners at starbucls thaw them out the day before. If you want them wrapped up and now out of the pastry xase just ask so they know you have special needs.